Custom insert medal with ten stars. Your event's information and logo on a insert disc makes a unique medal. Available in gold, silver and bronze finishes. 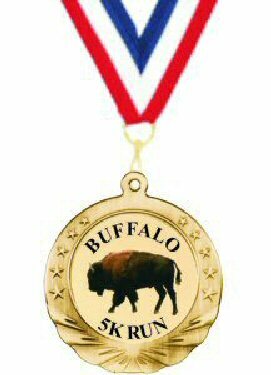 The medal comes with a free 7/8 x 30 inch v-sewn neck ribbon or pin drape.